Effortlessly hang laundry! TEMPEST is an original laundry dryer equipped with a portable linen bag. The bag attaches easily to the laundry dryer's frame, to help hang laundry without having to bend down to reach the laundry basket. The ideal friend for big laundry! TEMPEST is a large laundry dryer, also ideal for hanging sheets and blankets, along with small linen. Two lateral elements attached to the structure are designed to hold socks and underwear, making TEMPEST the complete product. The bag attaches easily to the laundry dryer's frame, to help hang laundry without having to bend down to reach the laundry basket. Clean laundry is the name of your game. 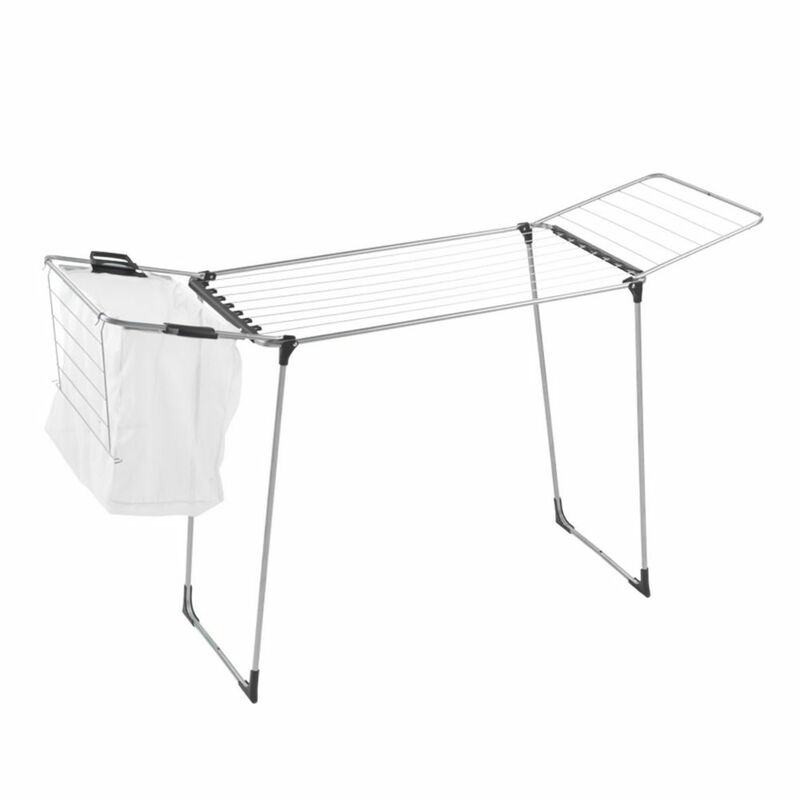 Now you can master more on your chore board with this Large Folding Drying Rack cleanly coated in white and silver. Its 24 ln. ft. of drying area provides easy ventilation for your all of your favourite garments or household items. Protect perfect pairs of blue jeans, delicate lingerie or vintage pieces from wear and tear of a dryer cycle all while saving on energy costs. When you're not using it, the rack neatly folds down to 3-inch flat for easy storage inside your laundry room, bedroom or at your mom's house. Honey-Can-Do DRYZ01110 Set of 2 Stackable Sweater Drying Rack, White. This stackable sweater dryer measures 28-inch x 28-inch deep and 5.75-inch tall. It is made of durable, rustproof plastic tubes which easily snap into place with plastic corner fittings. The breathable mesh netting allows ample airflow from all directions for speedy, even drying. Your sweaters will keep their shape and last longer by skipping the dryer and using a sweater drying rack. Buy several and stack them on top of each other for additional drying space. Tempest Folding-Wing Laundry Dryer Effortlessly hang laundry! TEMPEST is an original laundry dryer equipped with a portable linen bag. The bag attaches easily to the laundry dryer's frame, to help hang laundry without having to bend down to reach the laundry basket. The ideal friend for big laundry! TEMPEST is a large laundry dryer, also ideal for hanging sheets and blankets, along with small linen. Two lateral elements attached to the structure are designed to hold socks and underwear, making TEMPEST the complete product.